01/26/28 — We are happy to report that Whitney Lewis has been found safe. 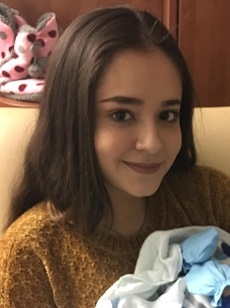 01/11/18 — Whitney Isabella Lewis, age 15, was last seen in the area of Missouri City, Texas on Friday – December 8th 2017. Whitney is believed to be wearing a grey sweatshirt with hoody, blue jeans torn in the front and Vans shoes maroon in color. If you have seen Whitney since her disappearance, if you know of her current whereabouts, or if you have any information concerning her disappearance; please call the Missouri City Police Department at (281-403-8700) – or call Texas EquuSearch at (281) 309-9500.